Thanks to a heads up by RetroVideoGamer it is now the Intellivision's time to shine, as a new homebrew cart called ' GoSub! ' will be made available for pre-order. In this challenging arcade game you control a submarine diving deep in the underwater depths in search of treasures and vast wealth. 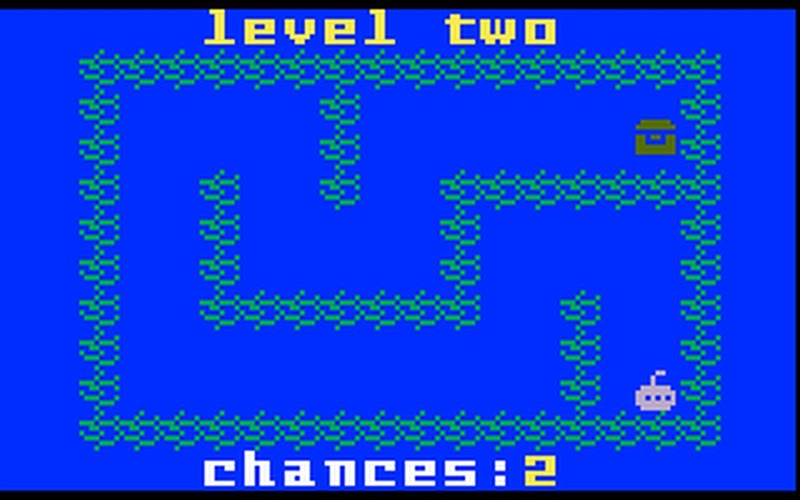 Traversing through dangerous one touch death mazes, you must also avoid the deadly monster octopus that has its tentacles set on you! If you can defend yourself and get to the treasure without dying, the treasure is yours! 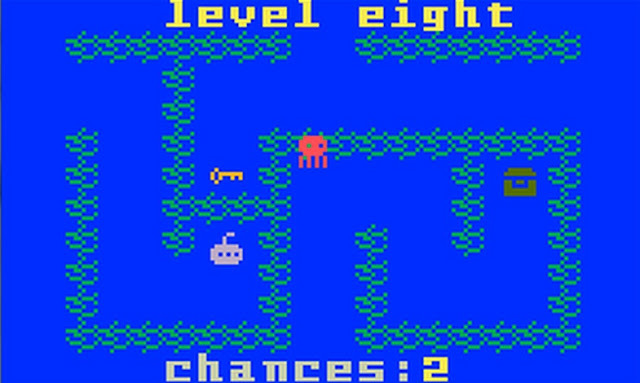 GoSub was first mentioned way back in 2014 and developed by Chris Read ( Atari2600land ). 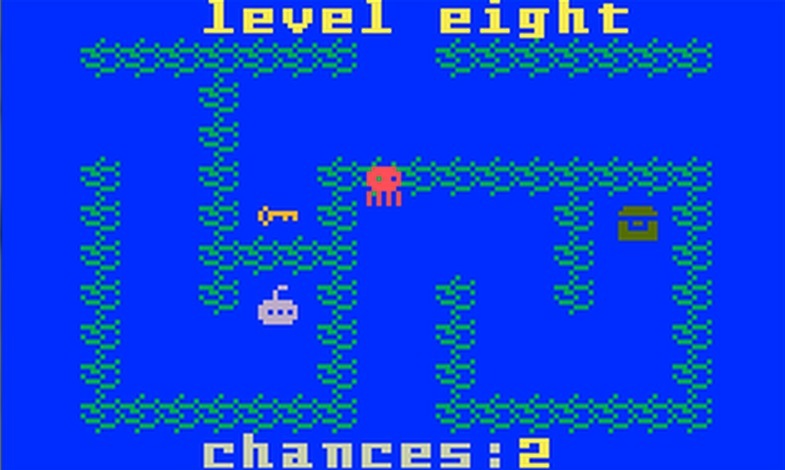 The more recent game Super Pro GoSub with enhanced options, six new zones, new creatures, bonus levels and enhanced graphics was developed by Gemini North, which is included within the game cartridge. A limited run of 300 cartridges are being produced and includes a professional box colour manual and two overlays and will be co-released with Intellivision Revolution premiering on October 21, 2016 at the Portland Retro Gaming Expo (PRGE) in Portland, OR. If you can't make it, you can of course pre-order via Paypal starting on Saturday, October 22, 2016. Some of the proceeds of the sales of GOSUB will be donated to the cause of assisting Óscar Toledo Gutiérrez AKA "nanochess" and his family with their pending medical bills.